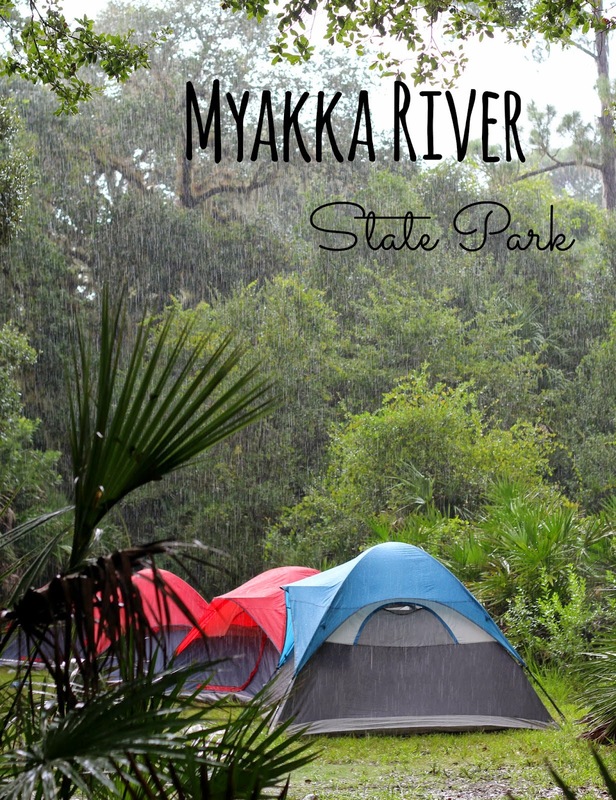 The kids and I recently spent a memorable weekend at Myakka River State Park. Yes, it rained. However, it didn't rain hard and it didn't rain much; much, much less than the weather app. on my phone had said it would. And, honestly, the rain was beautiful and gave the campground a wonderful misty glow. The rain, mixed with the Spanish moss, mixed with the Boy Scout troop covering their heads with palm fronds while the fire smoked created a dreamy, mystical feel, it reminded me of a movie scene. Rain wasn't all we encountered over the weekend. We also found climbing trees. And a walkway high above the park's floor, ending with a tower that gave us a bird's eye view of the surrounding area. And a bird watching path which lead to this serene view of the local river, the Myakka River. And some boys who liked washing dishes, or at least playing with the buckets and dish water for a good hour. And gators. No zoom on this lens and no cropping of the image. He was about 10 feet from us. We also saw deer and LOTS of bug repellent-resistant mosquitoes (believe me, we tried every bug spray available and applied crazy often, those mosquitoes were oblivious to our efforts). And we found some very dirty, soccer playing Boy Scouts, who didn't seem to mind the rain all that much (they minded the mosquitoes though!). Isn't that Spanish moss fantastic? Such beautiful photos. Great post.